The Government has said it exceeded its target for delivery of social housing by 23% last year. The Department of Housing figures show just under 26,000 individuals and families got new social housing last year compared to the target of 21,050 units. The units include 2,245 homes newly built by local authorities or approved housing bodies or provided by developers under the Part V regulation, which requires developers set aside 10% of all dwellings for social and affordable housing. The new builds are a 242% increase on 2016. But the vast majority - 20,000 units - are subsidised rental accommodation under the Housing Assistance Payment scheme. There were also 2,266 acquisitions and 1,747 restored voids (vacant properties). 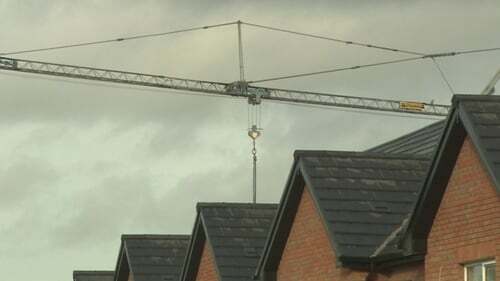 Minister for Housing Eoghan Murphy said the figures show that the Government's strategy is working: "All the signs are pointing to a further acceleration of housing delivery. "Key indicators such as commencement notices which were climbing steadily since 2015 began to rise more dramatically in 2017 as Government measures took effect". However, the number of people who are homeless is still increasing, with 5,524 adult individuals and 1,530 families homeless, with 3,333 in emergency accommodation last November.